NASHVILLE, Tenn. (Jan. 23, 2019) -- The Americana Music Association® has announced the lineup for its ninth annual Americana Spring Celebration, April 25 - April 28. Performances benefitting the not-for-profit artist advocacy group will be held each night at Blackberry Farm, a world-class luxury resort that is breathtakingly situated in the Great Smoky Mountains of East Tennessee. This year's musical experience will feature critically acclaimed singer-songwriter Brandi Carlile, who is the most nominated female artist at this year's GRAMMY® Awards; rising Americana powerhouse duo The War and Treaty; and, GRAMMY®-nominated indie-folk mainstay Iron & Wine. Attendees who make reservations to stay on-site at the renowned Blackberry Farm will be treated to up-close musical performances by these unparalleled Americana artists with a fitting backdrop of one of the country's most celebrated luxury hotels. "We are so excited to be returning to Blackberry Farm to produce this important and truly spectacular fundraiser for the ninth consecutive year. It just keeps getting better and better," said Jed Hilly, Executive Director of the Americana Music Association. "A weekend at this intimate venue with Brandi Carlile, The War and Treaty and Iron & Wine will truly be a once-in-a-lifetime experience that no one will soon forget." In addition to the stunning musical weekend, guests will be welcome to enjoy the resort's elegant accommodations, including a destination spa and some of the world's finest wine, cuisine, outdoor activities and more. Reservations are available by calling 1-800-557-8864 or visiting www.blackberryfarm.com. For more information on the Americana Music Association, please visit www.americanamusic.org. Described as “Easy to get to. Hard to leave,” Blackberry Farm was voted the No. 1 resort in North America for by Travel + Leisure's readers in the “World’s Best” awards, and is the recipient of many other prestigious accolades. Blackberry Farm creates an unforgettable experience for each guest, with exceptional personal service and attention to detail. Two inventive restaurants showcase “Foothills Cuisine,” an epicurean adventure featuring foods indigenous to the region and borrowing heavily from haute cuisine. Guests enjoy a Wine Spectator Grand Award-winning wine cellar that includes highly collectible American wines found only at Blackberry Farm. The property is a member of Relais & Châteaux, an association of the world’s finest hoteliers, chefs and restaurateurs, established over half a century ago, that has set the standard for excellence in hospitality. 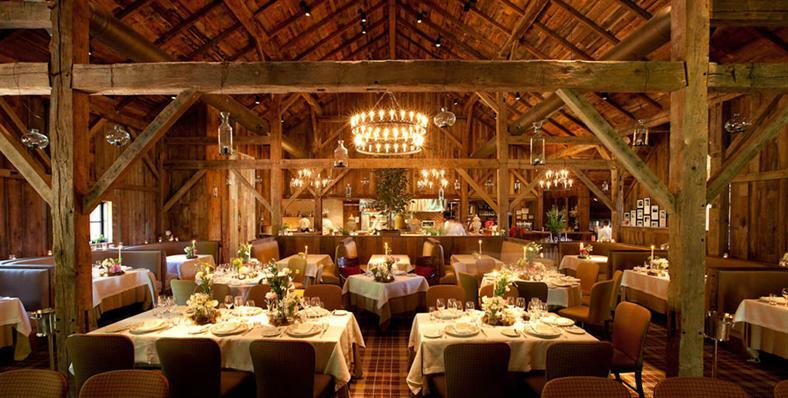 For reservations and information, please call 1-800-557-8864 or visit www.blackberryfarm.com.